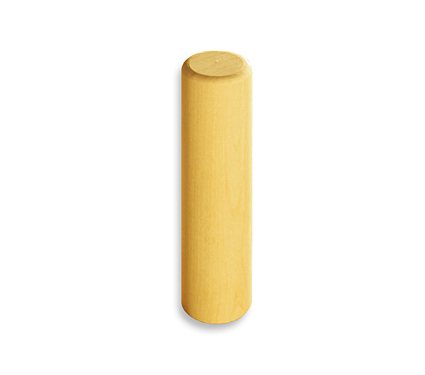 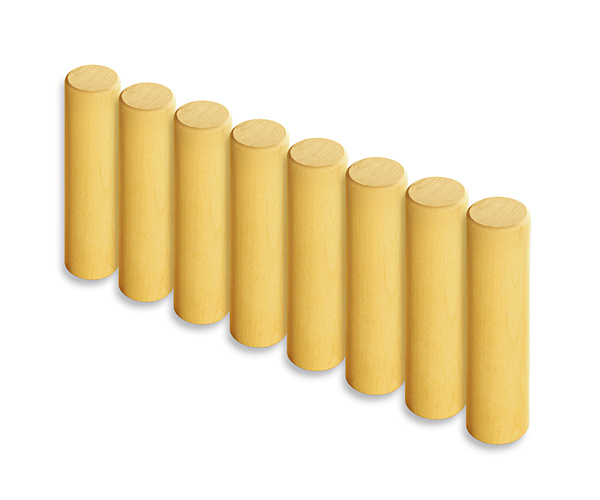 Same shape set of 8 wooden block small cylinders. 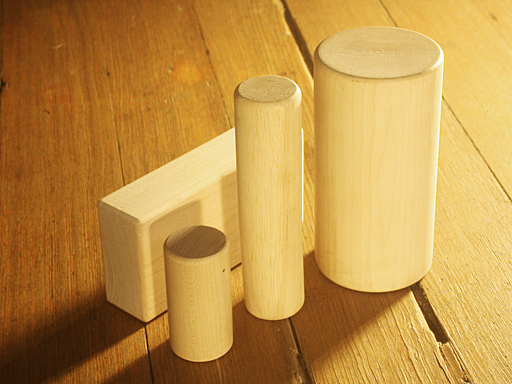 Each block in this set measures 5.5 inches long with a 1.375 inch diameter. 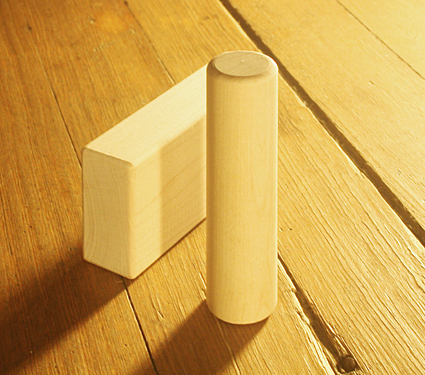 This is based on the original and current standard unit block size and shape invented by Caroline Pratt and used in quality preschools and primary schools worldwide. 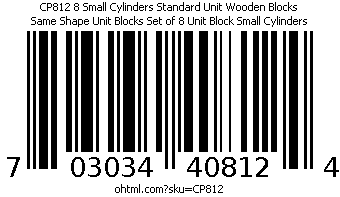 Compare with Community Playthings G512 Set of 8 Unit Block Small Cylinders, which is made from unspecified Soft Maple, NOT from Hard Maple.